Wow…..I am a mother of two daughters , so tell me about girlie theme, I will know. 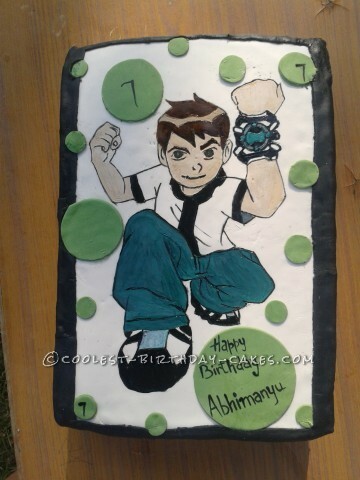 But Ben 10? who is he??? I started from there !!! ( lol). This was a very special cake for a special boy. So, had to be good. It’s a 5 kg cake. Inside there are 3 layers, two chocolate and one vanilla sandwiched between the two. Pure ganache cake, covered in fondant, hand painted.